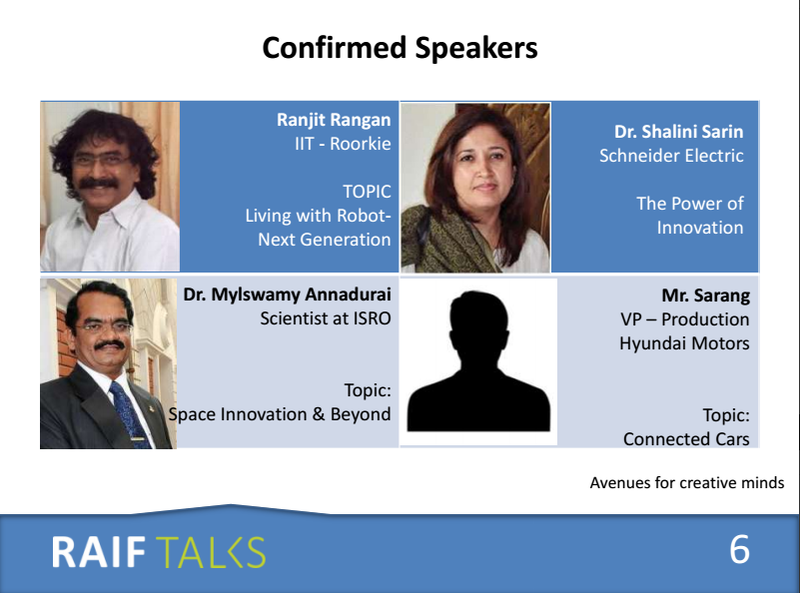 RAIF Talks is a platform for the experienced to share that "Change" which made them successful. This is for the entrepreneurs, corporate, Research scholars and college students. 1. 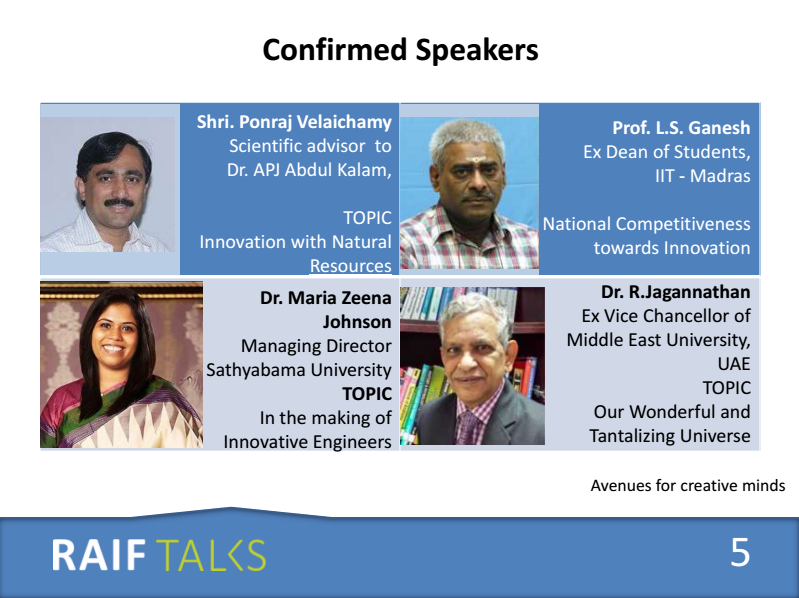 Shri Ponraj Vellaichamy - Scientific Advisor to Dr. APJ Kalam. Topic : Innovation towards National Competitiveness. 7. Mr. Arvind Thiyagaraj, Founder and President AT Group LLC, USA.